Bio: Joe Mancuso has been a full time professional artist since 1997, living in southern California. For more information check out his website and blog. 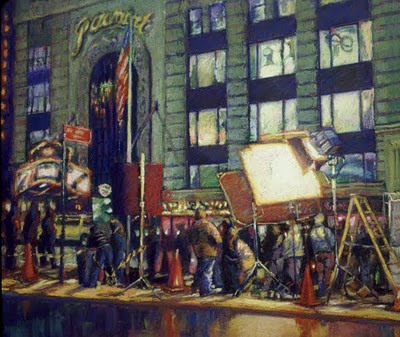 Joe is a signature member of the Pastel Society of America. Subjects: Landscape. Mancuso especially likes backlit subjects. Navigation: Main menu or Home available. Gallery: Paintings, with sub-menu Archives; and Plein Air. Image View: Each gallery page contains thumbnails with data on medium and size, except for Archives (size declared, but not medium). Thumbnails enlarge in new window and may be downloaded. You can scroll through the images, use the back button on your PC, or hit Home to navigate from this page. File size can be up to 1226x943, 98 KB. Bio: Joan Larson has studied at the Banff Centre, the University of Victoria, and the Art Center College of Design in Pasadena, California. Her career has embraced graphic design, illustration, managing her own gallery in Palm Desert, California, and developing several picture framing businesses. Her diverse education and life experiences have given her a practical understanding of the business aspects of the art world, as well as a technical proficiency with a variety of art mediums. She prefers to work primarily with pastels due to the exceptional colour effects that can be achieved when working with sticks of pure pigment. 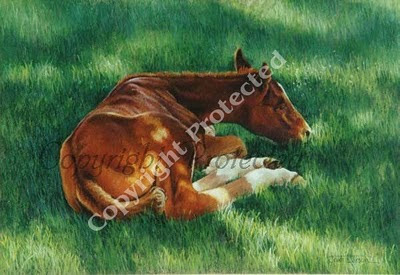 She is a member of the Pastel Society of Canada, the Equine Art Guild and the Federation of Canadian Artists. Media: Pastel, oil, acrylic, tempera. Subjects: Larson specializes in equine art work, often drawing upon her background of landscape and figurative painting to create her work. Navigation: Main menu remains visible at side. Gallery: New Works, Musical Ride, Landscapes, Equines, Portraits (horses, not people!). Image View: Each gallery page contains thumbnails with data on medium and size. Thumbnails enlarge in new window when clicked and may be downloaded with sometimes an overenthusiastic Copyright protected legend on the image (see above). Demo: No. But under Musical Ride may be found preliminary sketches of unfinished paintings. 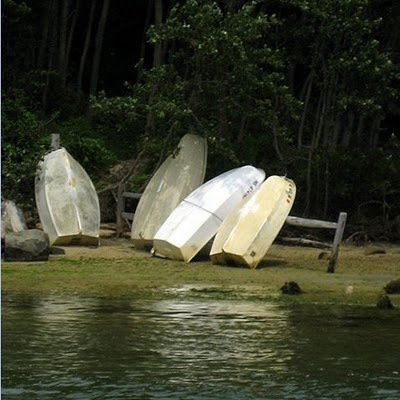 Bio: Joan F. Dromey of Kingston MA, was born and raised in Central Massachusetts. 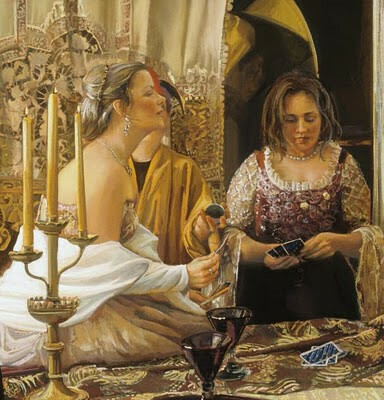 She holds a Bachelor of Art degree from the College of the Holy Cross, completing requirements for a major in Fine Arts as well as Political Science. Following college graduation, business and professional pursuits left no time for creative work and artistic endeavors. However, on an extended vacation in the summer of 2006, she began to paint once again. Navigation: Main menu remains visible on top. Gallery: Portfolio consists of thumbnails plus sub-galleries of Work in progress and the Art Attic (older works). Image View: The thumbnails enlarge when clicked, opening an Adobe Flash player which doesn’t allow individual images to be saved. The title, size and price are stated. Demo: Inadvertant. Under Portfolio there is a Photographs sub-gallery which contains some images that have been translated into paintings. The images on this blog were saved by using the Prt Sc button on Flash. Bio: Born in rural Kentucky, 1944, Wright moved to Chicago to attend the School of the Art Institute of Chicago, and he lived and made art there for four formative years. As a young, quickly maturing painter and printmaker, Wright was part of the hotbed of activity that spawned Chicago's imagist movement. He was close friends with members of the group that called itself The False Image, especially Philip Hanson, Christina Ramberg, and Roger Brown. Wright graduated with honors from SAIC in 1967 and he returned for a semester of grad school. With a travel fellowship from SAIC, he left on an overland journey through Europe into Turkey, Iran, Afghanistan, Pakistan, and finally Nepal and India, where he stayed for four months. 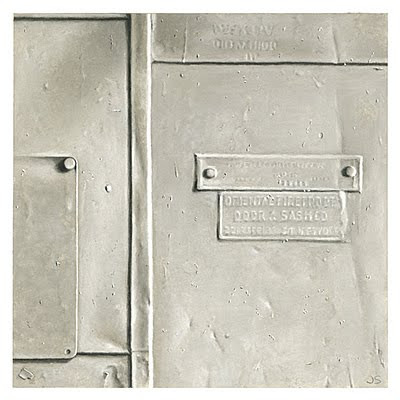 In the autumn of 1969, Wright moved from Chicago to Carbondale, Illinois, to attend graduate school at Southern Illinois University, where he was awarded an MFA in 1971. A major catastrophe befell Wright in 1970 when his house burned down, taking with it all the paintings he'd made while in Chicago. In 2004 Wright's current work was hailed by The New Yorker as "...van Gogh on acid." 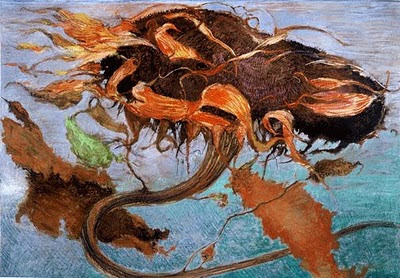 Wright might be said to have deconstructed sunflowers, to the extent that it is difficult to imagine that there is anything left to say on the subject. Style: I cannot categorise these paintings, other than to say they represent the object depicted. Gallery: Works, subdivides into Works on paper (25 pictures, mainly pastel, of which there are 20 ways of looking at a sunflower), and Paintings (oils). Image View: The thumbnails state title, medium and dimension. The enlarged images open on a new page, and may be saved. File size is up to 320x525, 95 KB. 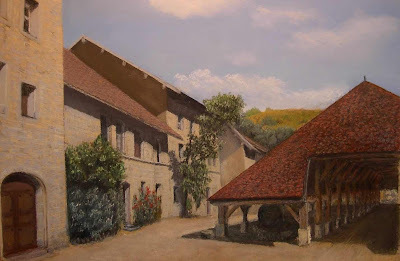 Bio: Jean Claude Baumier was born in Orleans in 1944, and lives in Donnery, near the Sologne whose ponds and forests have inspired him as they had Alain Fournier in his singular novel Le Grand Meaulnes. It so happens that I collect illustrated editions of that book, and when I first saw Baumier’s work I immediately made the connection, without realising that he lived close to the Sologne. Baumier’s training as an industrial graphic artist allowed him to make the switch to fine art through his respect for composition, values, perspectives, and sense of observation. After working with pen, cartoons, and advertising posters, he was attracted by "feel" of the pastel and it is through this medium that since 1984 he has translated his feelings for the world around him. He is a teacher and member of the French Society of Pastellists. Style: Between landscape and abstraction. Navigation: Website is in French. Clicking on Entrer on introductory page. The main menu remains available on the left. The links, from top to bottom, are Accueil (welcome); L’artiste, which gives information on the artist’s biography; Oeuvres – a small gallery of recent work; Distinctions – prizes and accolades, but pictures too; Le Pastel; Enseignement – Baumier’s teaching work for the Société des Pastellistes de France; Stages- Divers - art courses; Galerie/Tableaux – his paintings; Galerie/Videos; DVD; Actualités– information on current events and exhibitions – the website is up to date; Presse; Liens – Links; Relationnel; and Contact. Image View: The gallery consists of a series of pages of thumbnails, which enlarge when clicked on. Title and size are stated; you may proceed forwards, backwards, or return to the index of thumbnails from the display. The painting I have displayed is Matin calme, which I acquired from Jean-Claude in Feytiat in the magical summer of 2010. 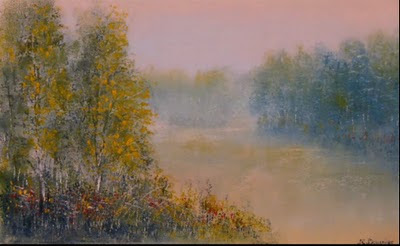 Demo: Rêves (dreams), Neiges (snows), Ciels (skies) – video presentations on the Galerie/Videos. Regardons un des pastels de Jean-Claude Baumier. La peinture est formes et couleurs. Formes : le paysage est profondeur, sur une page rectangulaire qui impose sa loi, le peintre creuse un autre espace où le regard s’oblige à plonger. Couleurs : restitution du dialogue nourricier de l’homme et de la nature, la pose des couleurs traduit le scintillement de la lumière qui, par essence, ignore le nom et le contour des choses. La lumière naît des contrastes entre les tons, des rapports des teintes, du raffinement des passages. Quoi qu’on en pense, le paysage en peinture n’a pas encore une longue histoire. Ses lettres de noblesse en Europe n’ont guère plus de trois siècles. Il a été arrière-plan de moments spirituels, support de scènes allégoriques, avant d’être le dépositaire d’un regard subjectif momentané. Qu’est-il aujourd’hui ? Le paysage s’inscrit de plus en plus dans le temps. Il relate un instant dans une fixation, qui immobilise un moment fugace. Voilà ce qui captive vraiment Jean-Claude Baumier : entre réalité perçue et mémoire retrouvée, se jouent ses espaces en forme de paysage. Il n’oublie jamais qu’il s’agit de peinture, d’une histoire sans paroles de formes et de couleurs. Expert en art moderne et contemporain. Bio: Jaye Schlesinger received an M.F.A. in Painting from the University of Michigan, Ann Arbor, in 1976, as well as an M.F.A. in Medical illustration from the University of Michigan, Ann Arbor, in 1988. She has held the position of Roman J. Witt Visiting Assistant Professor of Art at the University of Michigan School of Art and Design from 2001-2003, and prior to that was an Adjunct Lecturer. She has been artist-in-residence at The Anderson Center for Interdisciplinary Studies, Blue Mountain Center for the Arts, Ucross Foundation, Jentel, and Hall Farm Center for the Arts. Subjects: Street scenes, Still life. Style: Photo-realism. Although her subject matter is different, her meticulous attention to detail is remniscent of Jane Lund, especially in the white paintings. Gallery: Street Scenes, Tools, Other Subjects. Image View: Each gallery is shown as thumbnails on the left of page. The enlarged image has details of medium, and size, and opens on same page as the thumbnails, which remain visible and clickable. Enlarged images may be downloaded. File size of Fireproof is 400x400, 103 KB. The original is only 8 inches square. Navigation: Main menu remains available on top of page, except in Pastel Portrait and Figure subgallery. Gallery: Three main galleries: Figure and Portrait, with Pastel Portrait and Figure a subgallery; Landscapes, subgalleries Pastels and Oils; Contempory (mainly oils – no pastels). 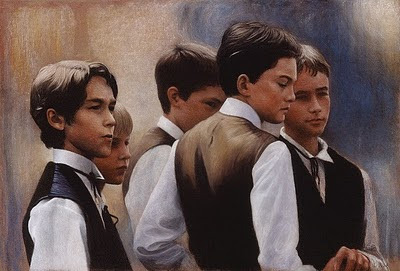 Bio: Jack is a graduate of The Ringling School of Art and a signature member of the Pastel Society of America, as well as, past president of the Maryland Pastel Society. He is also a member of The Washington Society of Landscape Painters, the oldest active art organizations in the greater Washington metropolitan area. 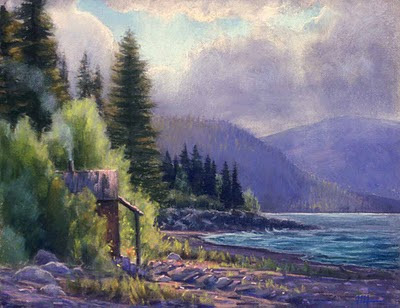 He has an extensive background in painting including plein air landscape, figurative, and portrait. Jack's studios are located in Alexandria, VA and the Outer Banks, NC. Navigation: Main menu remains available on top of page, except where image is enlarged. Site is up to date. 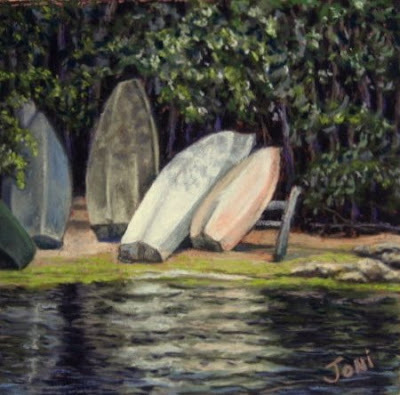 Gallery: Landscapes, Portraits, Still Life, Figuratives, Prints. ‘Landscapes’ is further subdivided into Pastels, Oil and Christmas. Bio: New Mexico artist Iva Morris has been making art for over twenty years. After receiving her BA in Art Education at the University of New Mexico in 1981, Ms. Morris taught art and participated in the Artist in Residence program, painting murals with children around the state of New Mexico. 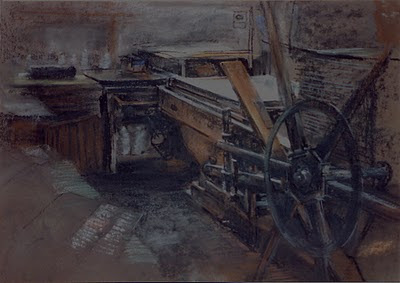 She began working with pastels eleven years ago and has continued to show both locally and nationally, winning awards for both her prints and pastels. She is a member of the Pastel Society of America and the Pastel Society of New Mexico. She lives with her two children and husband, painter Brian O'Connor, in the small farming community of Las Nutrias, New Mexico. Media: Pastel, oil, monotypes, folk art toys. Navigation: Main menu remains available on bottom of page. Iva Morris is almost unique in having a site map, and this includes an alphabetical list of all featured paintings in all media. The website does not appear to have been updated since late 2008. 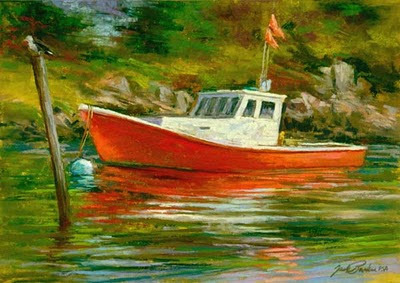 Gallery: Pastels, Paintings, Prints, Monotypes, Folk art.